How do we shared child-related expenses after the divorce? Divorce & Child Expenses – Part 1: Which expenses should we share? Raising a child is expensive. Budgeting for these costs during a divorce may feel complicated. You may be thinking about whether you should share the costs of dentist visits or birthday parties. And you may wonder how much you should pay. Child support helps a parent pay for some basic expenses – but not all. This blog gives you a framework to think through other costs. Common shared expenses: Activities, camp, private school. List expenses. Expect you will share some expenses. 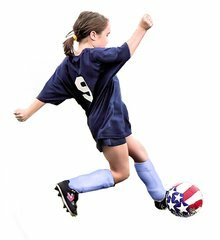 Create a list of your child’s current extracurricular activities, e.g., soccer fees, clarinet rental, costs for local school trips. If your child goes to summer camp or private school, add these to your list. Total these expenses to better understand how much it will cost to keep your child in the same activities after your divorce. How much? You will need to agree on how to allocate these costs. Does 50/50 seem fair to you? If so, then suggest it. However, if you earn a lot less than your ex, then perhaps your ex will pay a higher percentage of these expenses. You may suggest that you contribute based on your incomes. For example if you earn half as much as your ex, perhaps your ex will pay 2/3 of each each expense . Caps and budgets. As you budget for these expenses, you may be worried that the costs could increase a lot. Here are some ways to address this. First, think about an annual “cap” on certain expenses. For example, you may think that $1,000 / year for your child would keep your child involved in their current programs. ($1000 might be very low or very high for your child – it’s just an example.) Then you may want to increase this amount a little each year to factor in inflation. This creates an expectation that you are ready to spend a certain amount each year. Or you can list the programs that are important to your child and should continue. Finally, you can agree that your ex will not register your child for a program without first getting your approval. And you will give your approval if the program is reasonable. You can check your budget to see if the expense is affordable. Massachusetts Child Support Guidelines say that any of these costs that are in your child’s best interests and affordable should be allocated between you and your ex. Be prepared to pay for some of your child’s medical and dental costs that are not covered by insurance. If just one if you cares for your child most of the time, the Guidelines indicate that the “custodial” parent will pay the first $250 of such expenses each year. If you have shared parenting plan, decide how to divide up these costs. Will it be 50/50? Remember you can suggest apportioning expenses in relation to your income. If you have a shared parenting plan, think about some other expenses you may want to share. For example, child care, cost of gift-giving (when you child goes to a birthday party), clothing, outer ware, lunch money, computers and allowances. It might not make financial sense, to pay for 2 pairs of snow boots when you could share the cost. Also, discuss some future issues. When it is appropriate for your child to have a cell phone, you may want to share the monthly fees. Also, when your child starts driving, one of you will have a large auto insurance bill – to cover the new driver. In a later post, I will give you information about planning for your child’s college. While it is important to spell out the expenses you will share, it is equally helpful to be clear about expenses that you will not share. For example, you may not want to share babysitting costs that are not related to work. Also, you may think that costs for games, toys, movies, entertainment, food and travel at your ex’s home, should be paid by your ex. You can create a list of these individual expenses. As your divorce mediator or collaborative attorney, I will help you discuss this issue with your spouse or if you are divorced, with your ex-spouse. Together you will make decisions that are best for you and your family. Contact me here to schedule a meeting.